When I started middle school, one of the things I was most excited about were the rows of colorful lockers that alternated between yellow, red and orange. I mean, the concept of just having a locker was pretty exciting too, but the bright colors that lined the walls were part of the appeal. 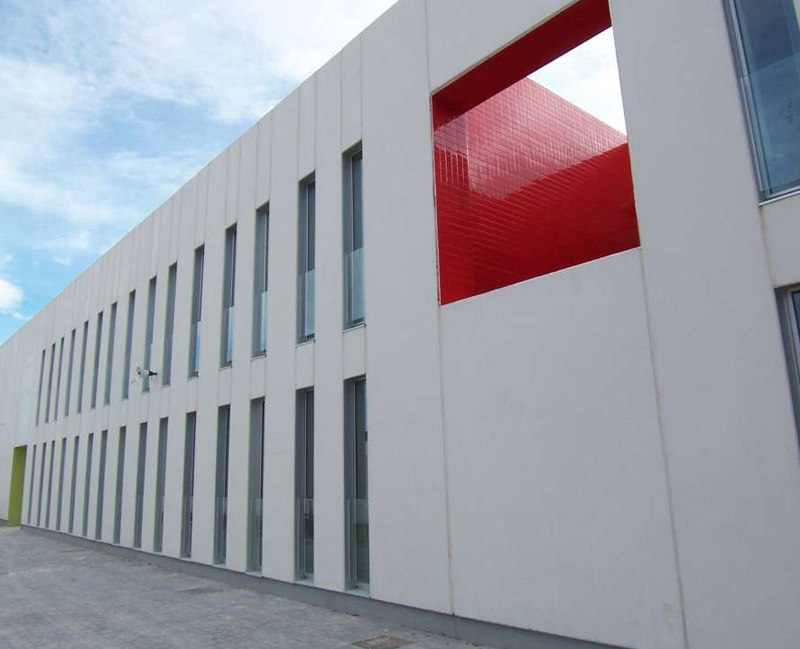 The Jaume Secondary School in Ontinyent, Valencia, Spain takes the color concept way beyond. 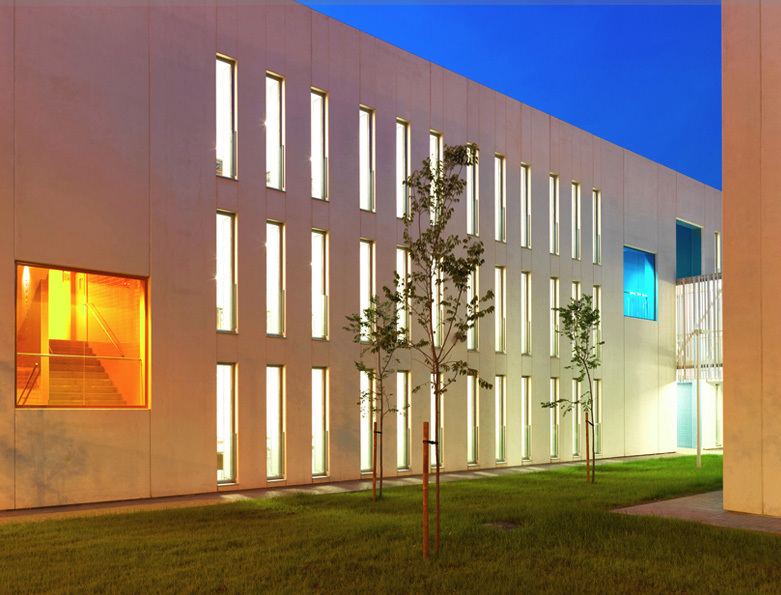 Designed ever-so-smartly by Ramón Esteve Architects (Estudio de Arquitectura), what could have been a rather straightforward high school is lively and welcoming by contrasting the white, prefabricated concrete panels of the exterior with colored glass and tiles, as well as paint. That combined with the use of light, both natural and artificial, enhance the building scheme and bring relief, brightness and dynamism to the interiors and exteriors. All four buildings that complete the complex, creating outdoor spaces including the sports ground, garden and parking, enclosing them with the architecture and working harmoniously. The solid volumes are ventilated and lighted through the cut-out openings with different color tiles in each. Definitely a school I would have enjoyed attending, based on the look anyway. Photos by Xavi Mollá, courtesy of Ramón Esteve and The Archhive. 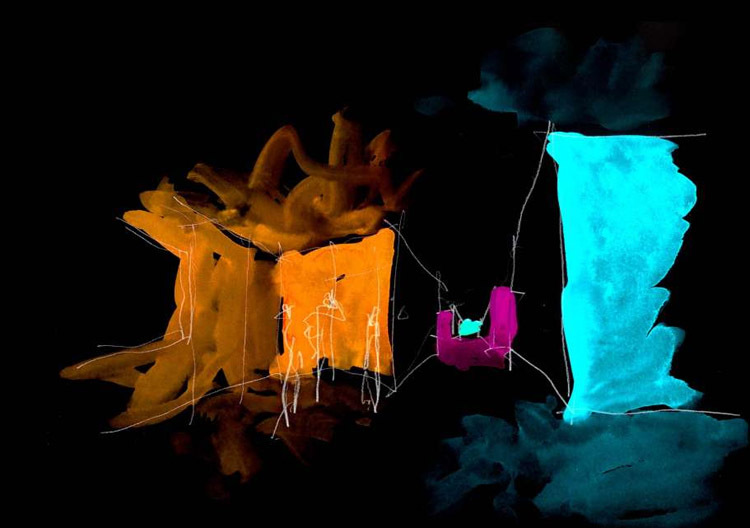 This entry was posted in Architecture, Fun, Just Plain Cool, Stuff We Like. Bookmark the permalink.